Why do people say Hungarian is the hardest language? 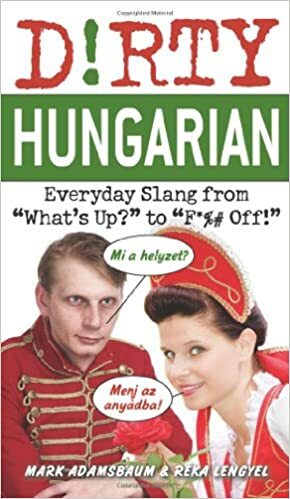 Tell people you’re trying to learn Hungarian and you may well get a shocked expression, even from the locals. They will urgently (or proudly?) try and discourage you by telling you it’s the hardest language in the world. Something’s difficulty is subjective, but why has Hungarian in particular got itself this reputation? Mainly it’s because it’s completely different from all its European neighbours. While most European languages belong to the Indo-European language family, Hungarian is a Uralic language. This means that apart from modern loan words, it has no similarity to any languages outside this family. Is Hungarian related to Estonian & Finnish? Estonian and Finnish are the two other European languages that are part of the Uralic family, so it’s correct to say they share a linguistic history. However as modern languages, while Estonian and Finnish grew up together, Hungarian has followed a very different path and now shares almost no similarity to its cousins. That is to say that, if you are familiar with Estonian or Finnish, it’s not going to help you learn Hungarian. Some people take to different parts of learning a language more easily than others. Hungarian is a grammar-intensive language, so if you’re one of those rare types of people that enjoys staring at language charts then you might not find it so bad. Why are they hard? – There are quite a few rules to get your head around. Definite and indefinite conjugations might confuse you a little as well as a few instances of irregular verbs. Overall though, it’s not nearly as bad as some other popular languages. 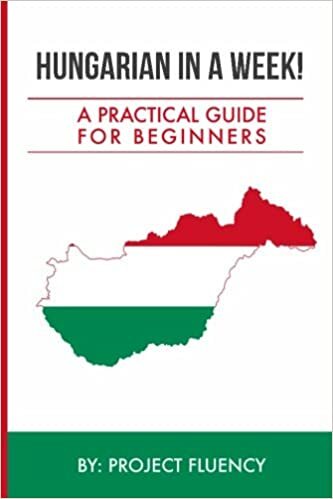 Oh and watch out for the definite and indefinite conjugations which is something that is unique to the Hungarian language – there are a few rules you need to follow. Why are they easy? – If it’s any consolation , with the exception of ‘lenni’ (to be) there are only actually 2 tenses in Hungarian – past and present (which really should be called ‘not past’ because it can also be used to express the future) – so you can forget about getting your perfect and continuous confused. This in turn means that conjugation tables for Hungarian are a little less scary than other languages. Why are they hard? – They aren’t, see below! Why are they easy? 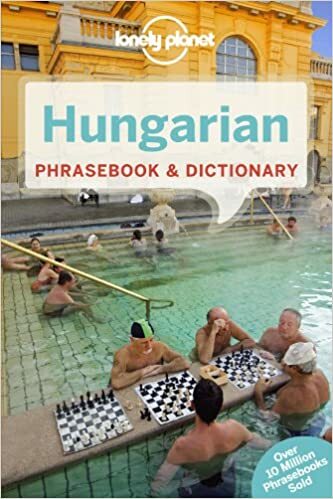 – So you can breathe a sigh of relief, there are no noun genders in Hungarian, so that’s one less thing to learn. Incidentally you’ll probably notice Hungarian’s refer to their sister or girlfriend as a ‘he’. Don’t worry though, you get used to it after a while. Hungarian plurals aren’t too difficult either. In English we have “s”, Hungarian has “k”. Just remember, if the word ends in a vowel then the vowel gets an accent. Is it possessive? Well change it to “i” before the ending possessive letter. Why are they easy? – Cases in Hungarian are formed by adding different suffixes to the end of words. It’s tough because, depending on who you ask, there are up to 35 of them, although you only really use 18 of them. Learning them is a chore and probably one of the hardest parts of getting to grips with Hungarian. The best way is to get a chart of them and learn one by one. Start with the ones you think you’ll use most often and build from there. Why are they easy? – Some of the cases are simple. Take the accusative for example, you just add “t” to the end of the word. And thanks to the lack of gender and easy plural rules, there are far less case variations than in some of the nearby slavic languages. Why are they hard? – Hungarian has a lot of vowels, 14 to be precise, and they all have subtle differences in pronunciation which can be tough to master. Luckily they break down into 7 pairs of long and short vowels. Still you might find yourself getting some odd looks from locals when you first start learning. >”sz” is pronounced as “s”. “s” is pronounced as “sh”. “c” is pronounced as “ts” (think “hats”). “cs” is pronounced as “ch” (think “cheese”). “j” is pronounced as “y”. “zs” is pronounced like the French “j” (think “leisure”). Why is it hard? – As we discussed earlier, Hungarian isn’t in the same language family as the rest of Europe. As a result its words don’t have the benefit of a rich Latin and Greek background that make some words in English, French, Italian and Spanish quite recognisable compared to each other. Hungarian has a lot of words that mean roughly the same thing (doesn’t mean they use them all though!) and word are constructed by sticking other words together and sticking further bits on the end. This can be intimidating for some people but really it’s just all those prepositions and possessives getting stuck on the end. Locals may try and scare you by giving you the example of the longest word in Hungarian: megszentségteleníthetetlenségeskedéseitekért, however the meaning of said word is so ridiculously obscure, most Hungarians can’t even explain it properly. Why is it easy? – Luckily its position in the centre of Europe means that Hungary has had a lot of visitors over the centuries and it’s taken on plenty of loan words in the process. Look around on menus and shop signs and you’ll start to notice a few. Here’s a list of 500 to get you started. 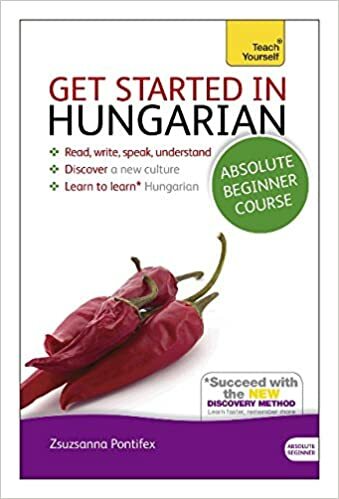 Once you start to get confident you can start to look at other resources to help you learn Hungarian.